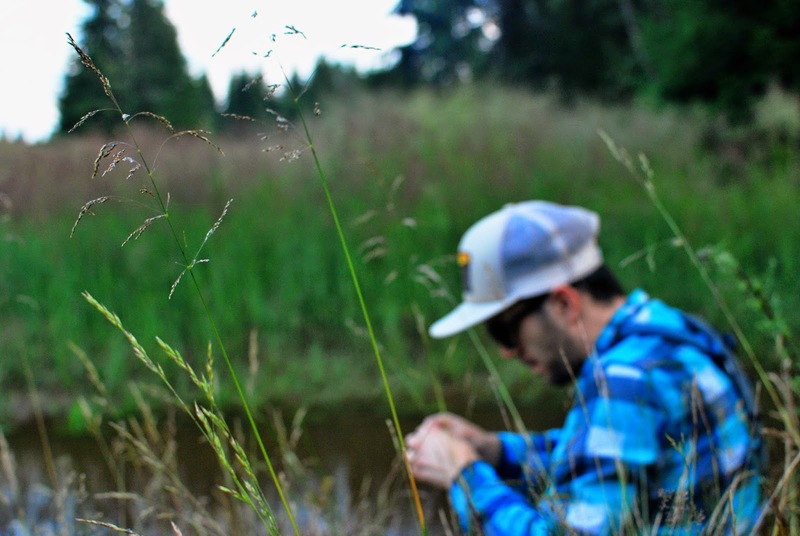 Ever since I started writing this blog, I had one simple ideea in mind. 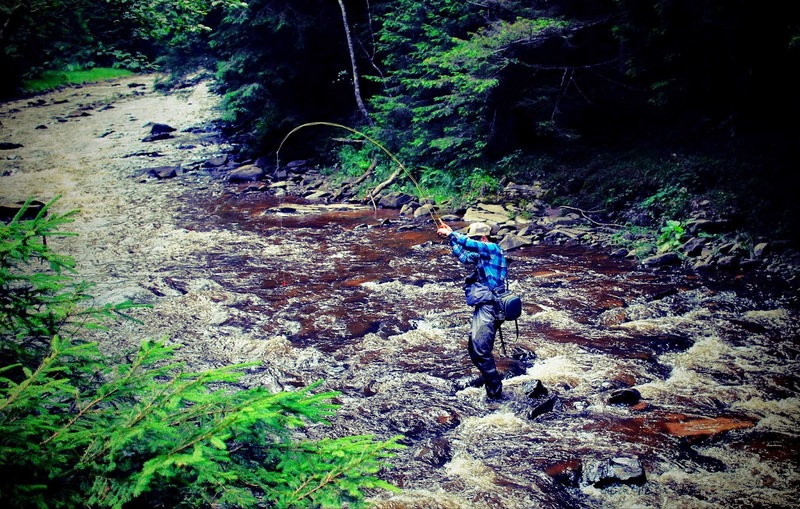 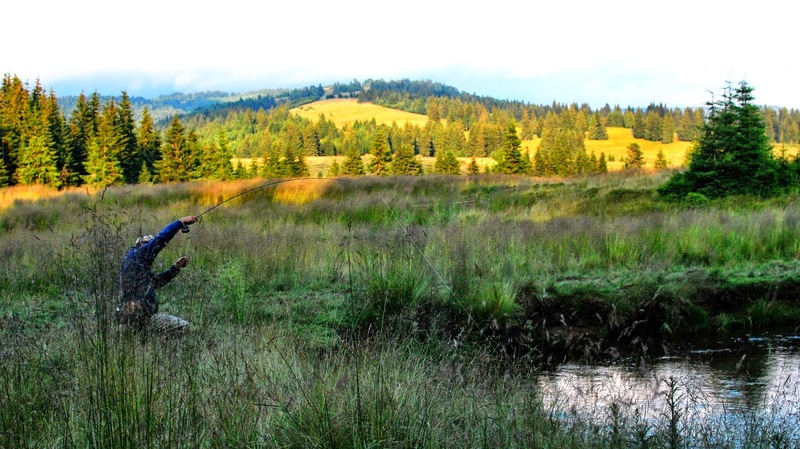 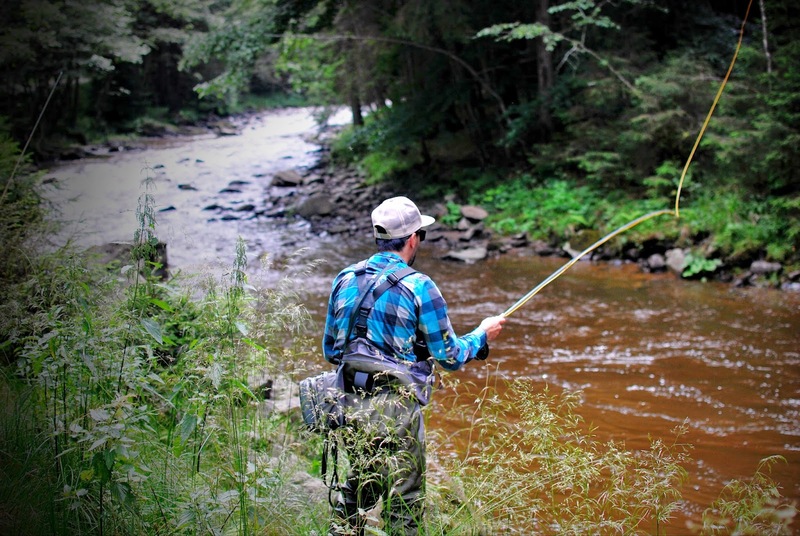 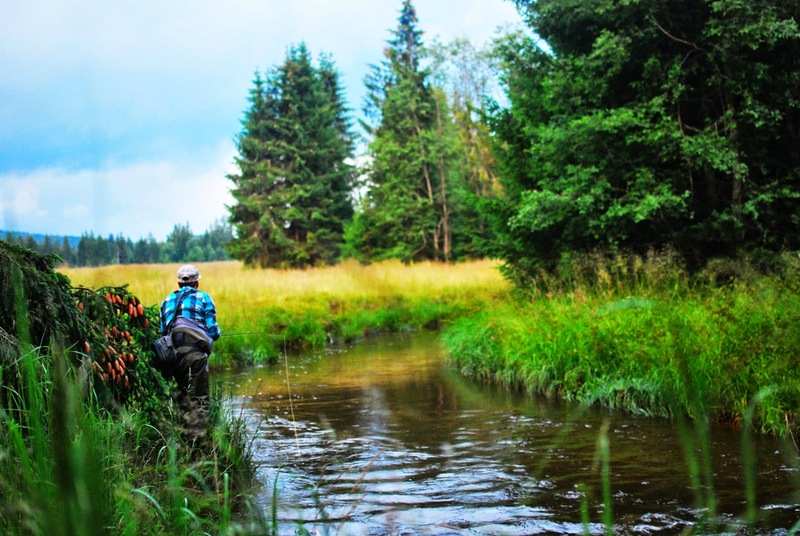 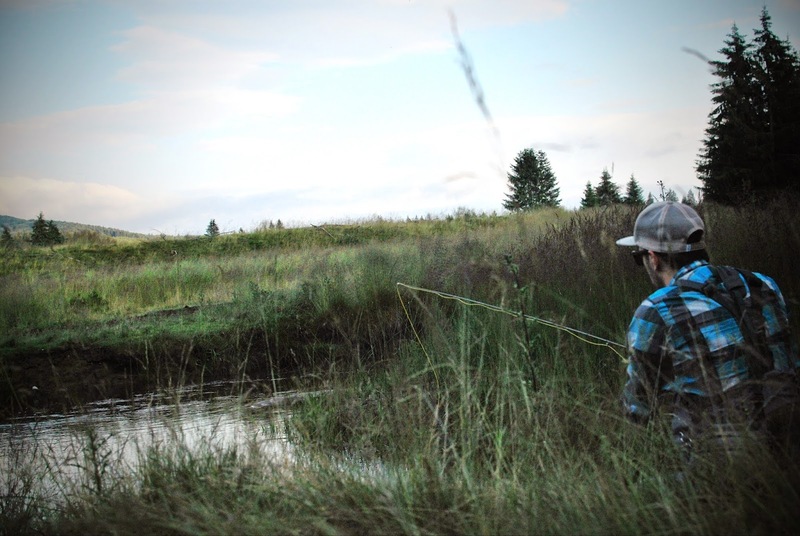 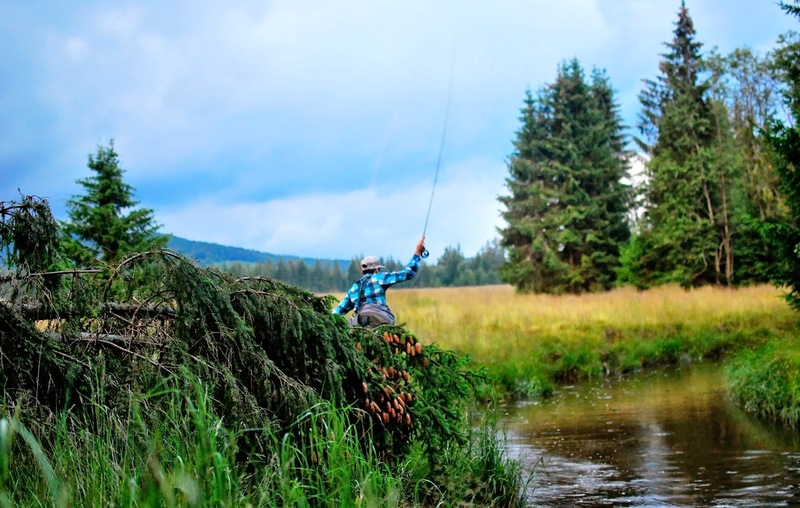 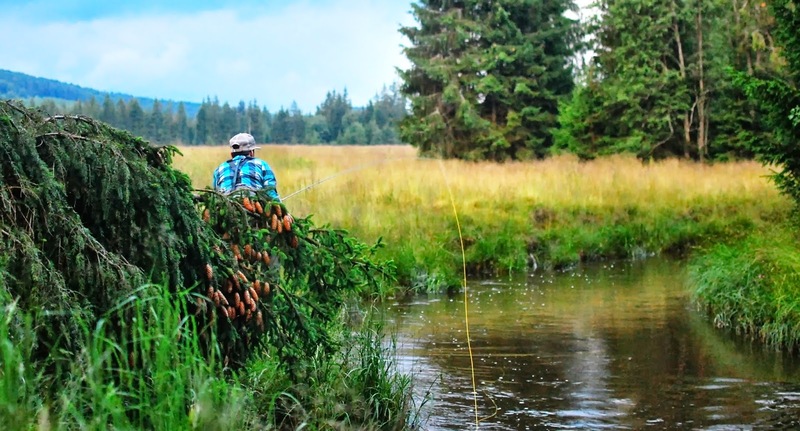 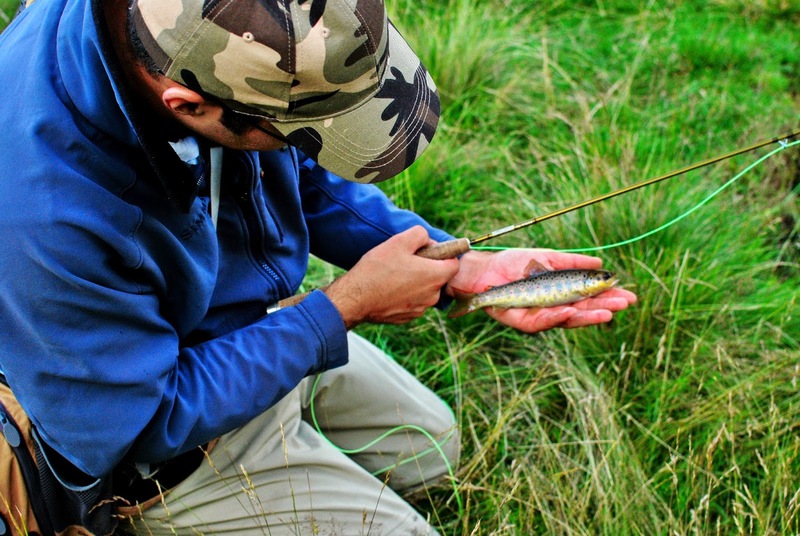 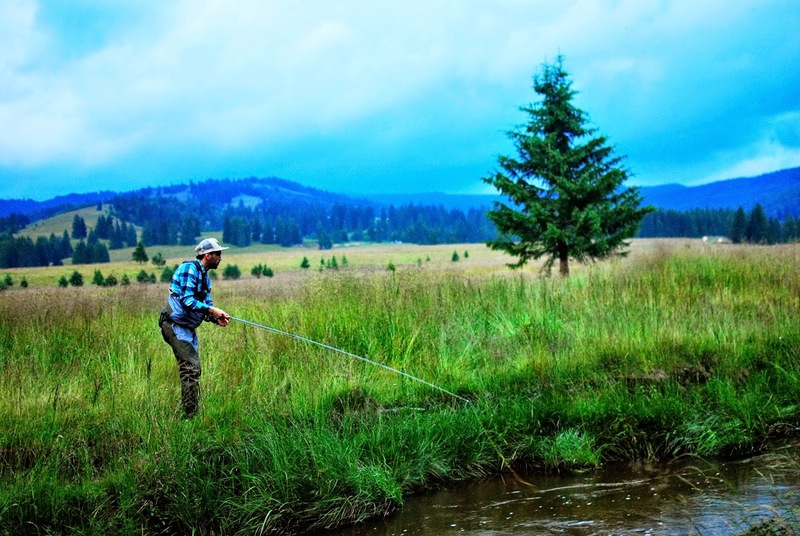 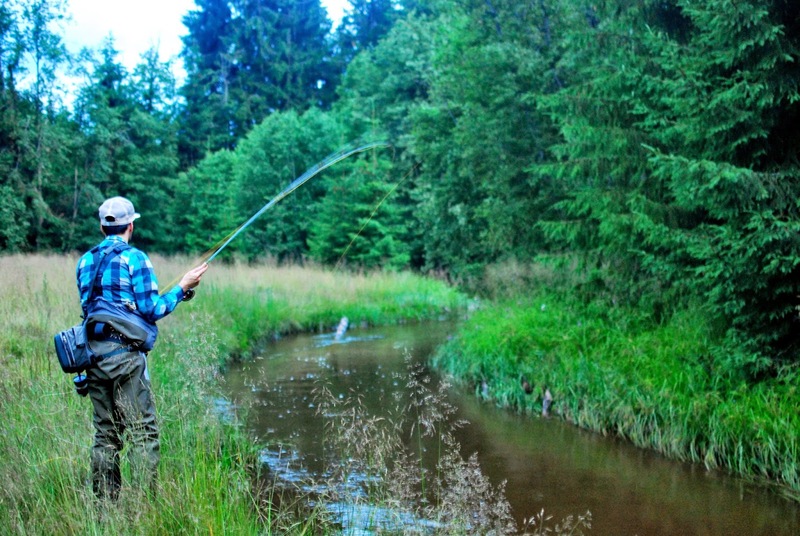 Besides my rod works, I wanted to showcase some of the last, most wild and pristine places to fish in Romania. 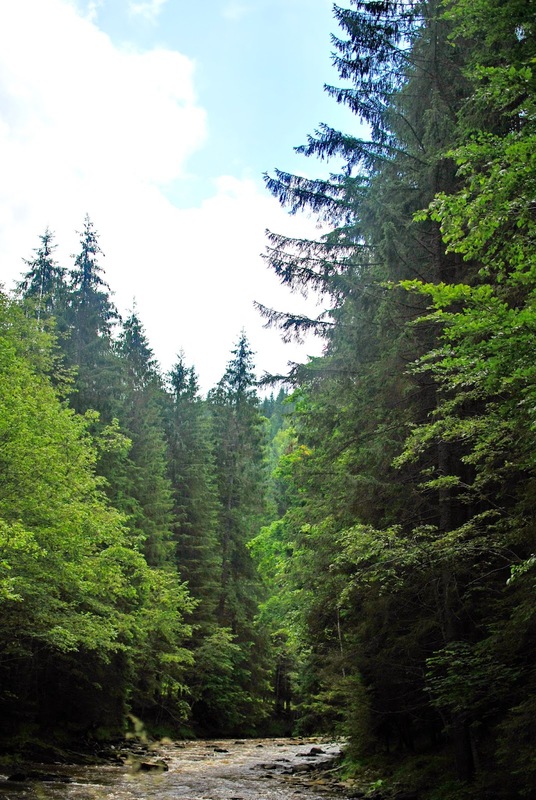 Many of these places were lost in the last couple of years due to distructive micropowerplants that were built in the most remote parts of the Carpathian mountains. 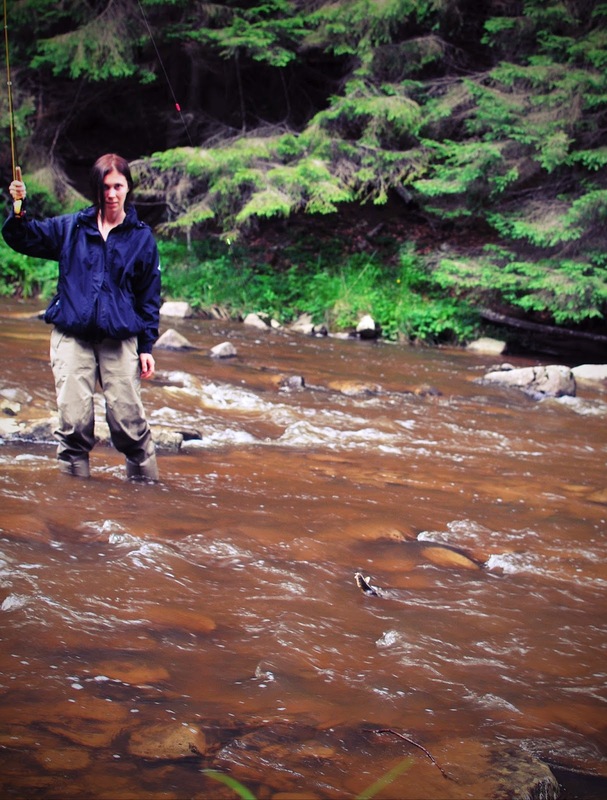 They are still threatening these beautiful rivers even today. 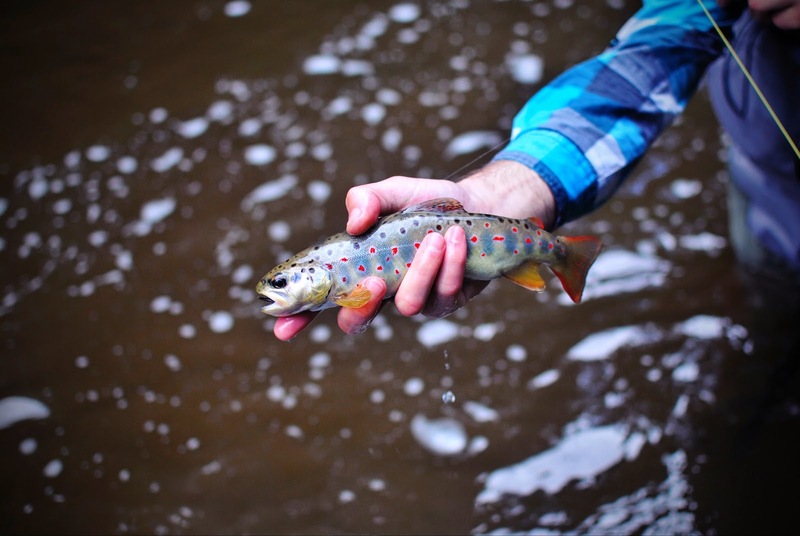 The size of the damage on the biodiversity of these small river ecosystems is unimaginable by most people. 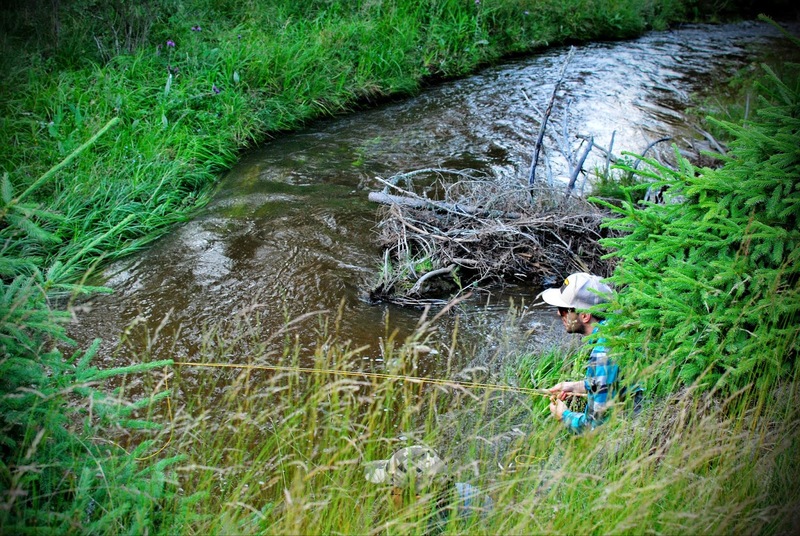 They have taken most of the water out of these river valleys down into pipes and killed trout habitat for good. 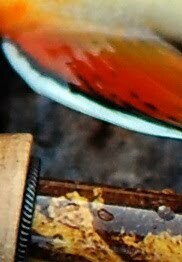 I'm very pesimistic on how they could be restored in the future. 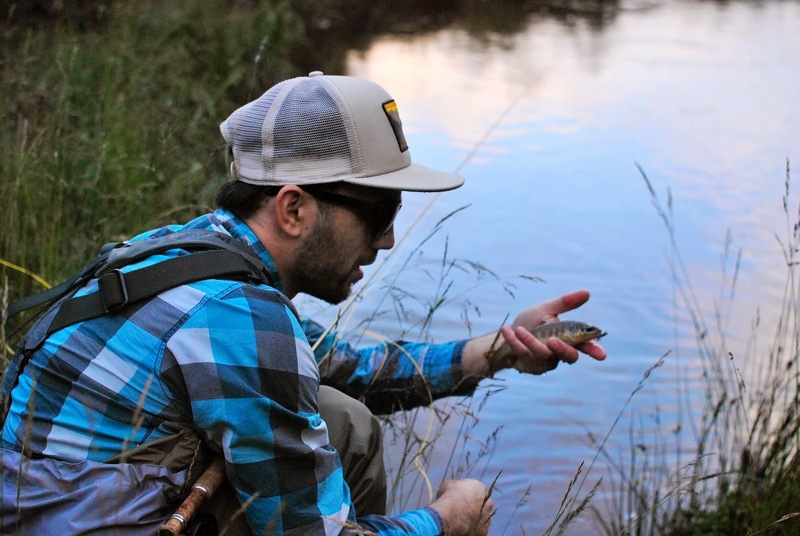 Below are photos of my already famous and so called "Red Creek" from my two day fishing trip I did with a couple of good friends and my girlfriend. 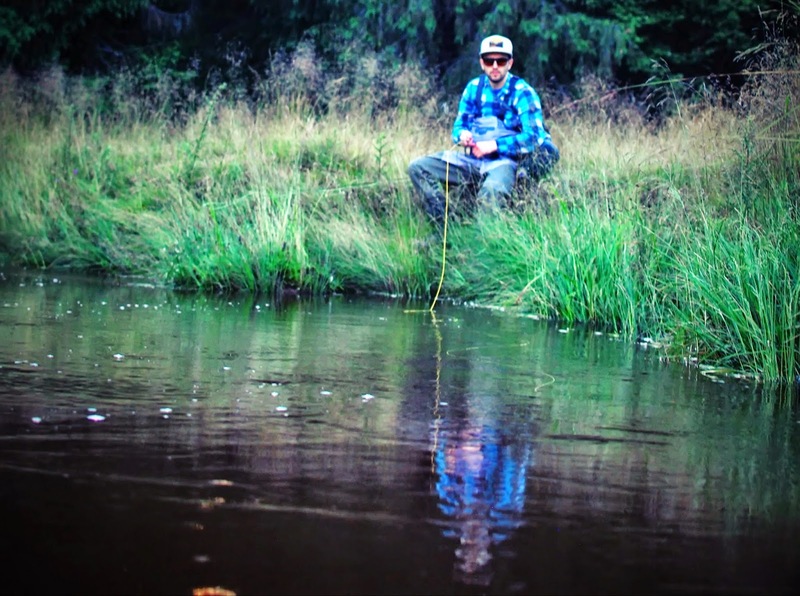 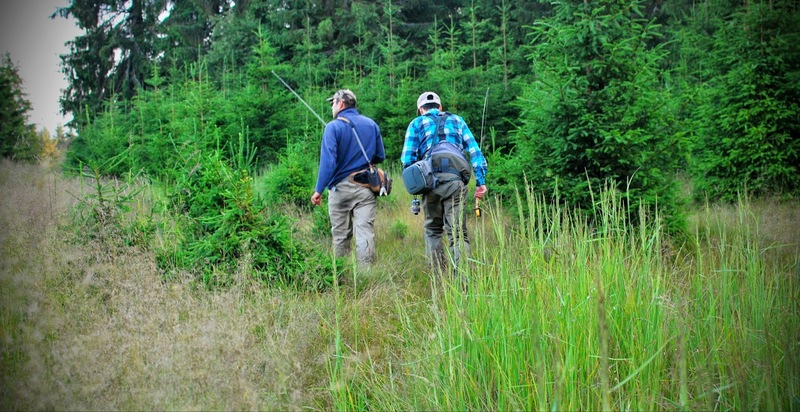 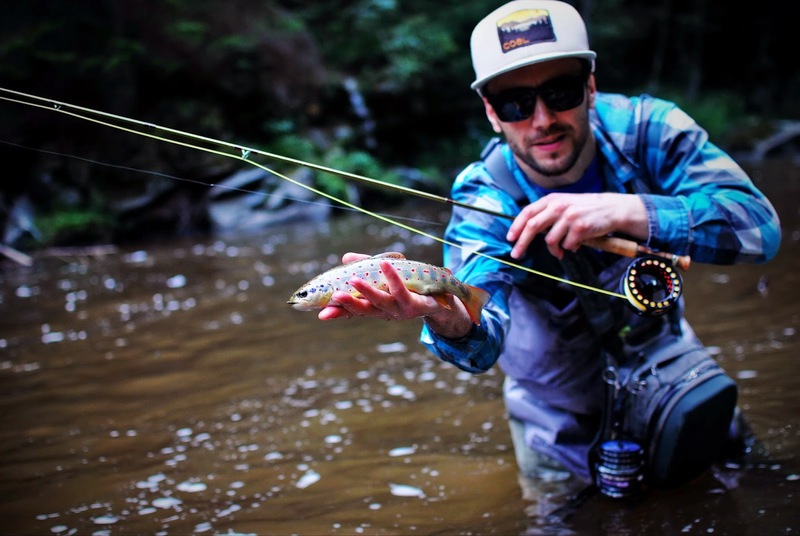 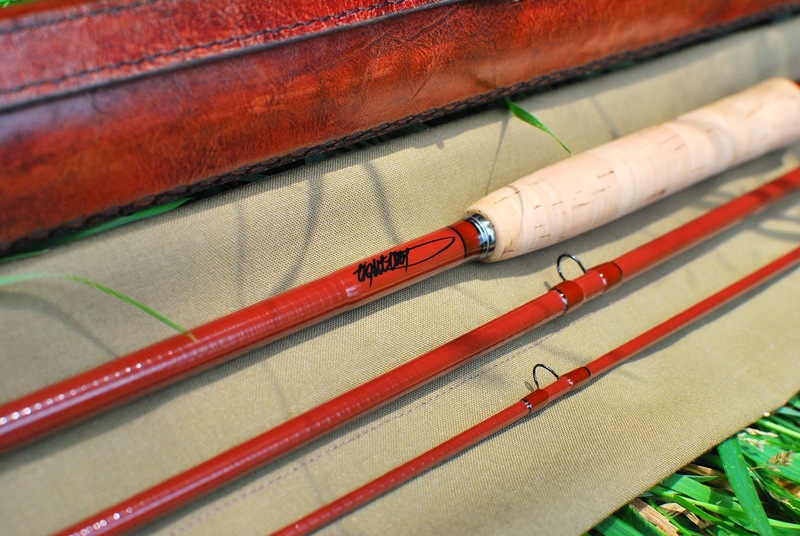 We fished our old and trusted Sage TXL's along with a Blue Halo 8'4/5 glass rod (built as a demo) that is an amazing trout rod. 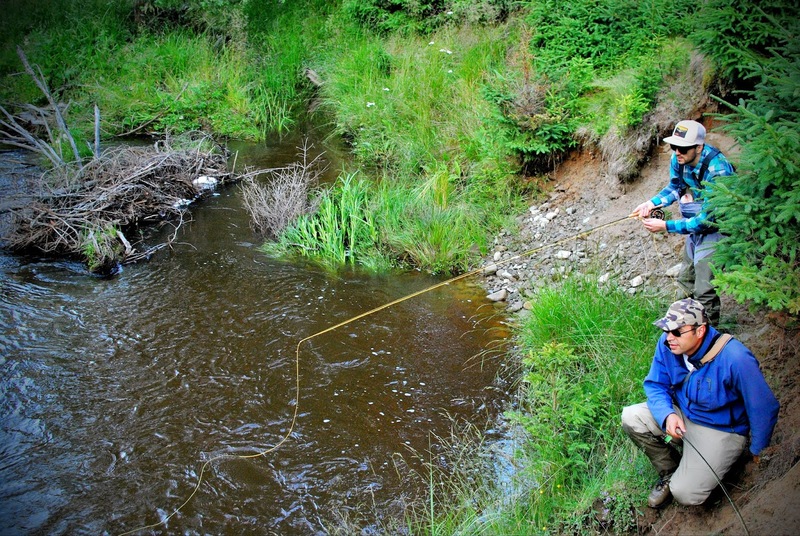 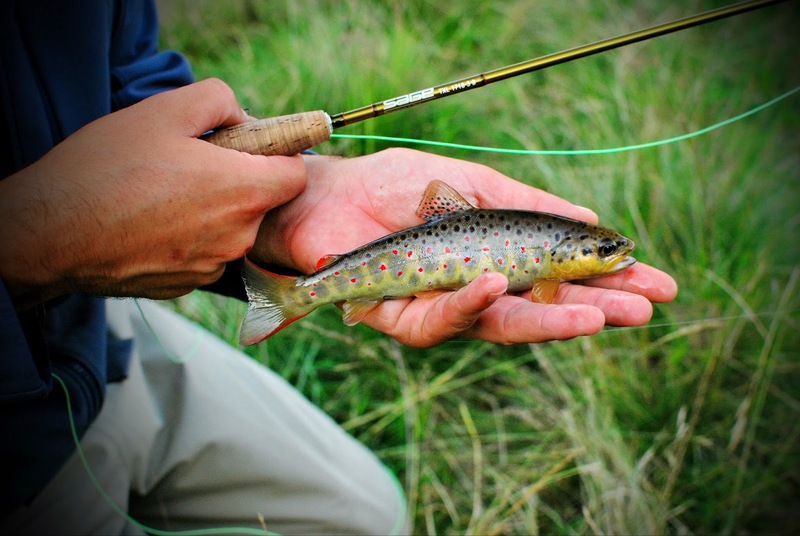 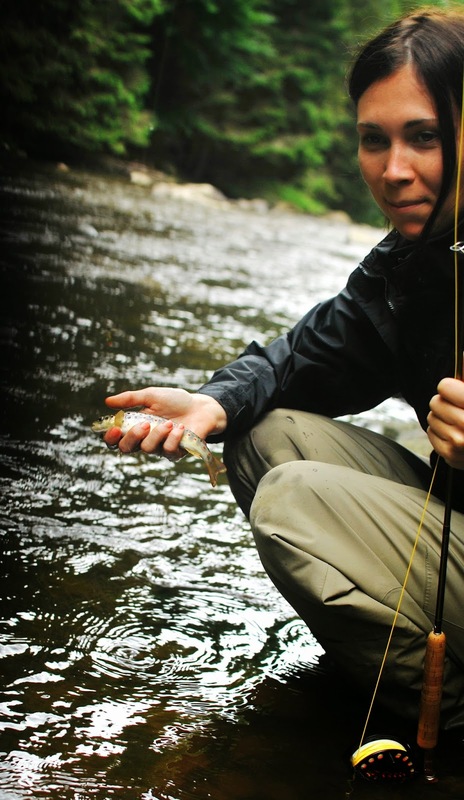 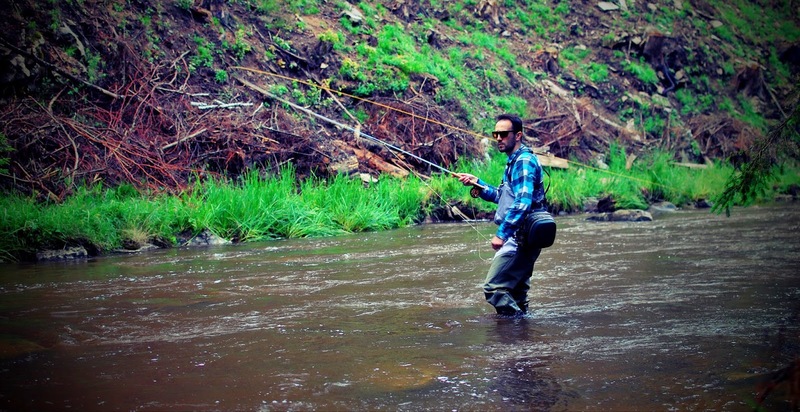 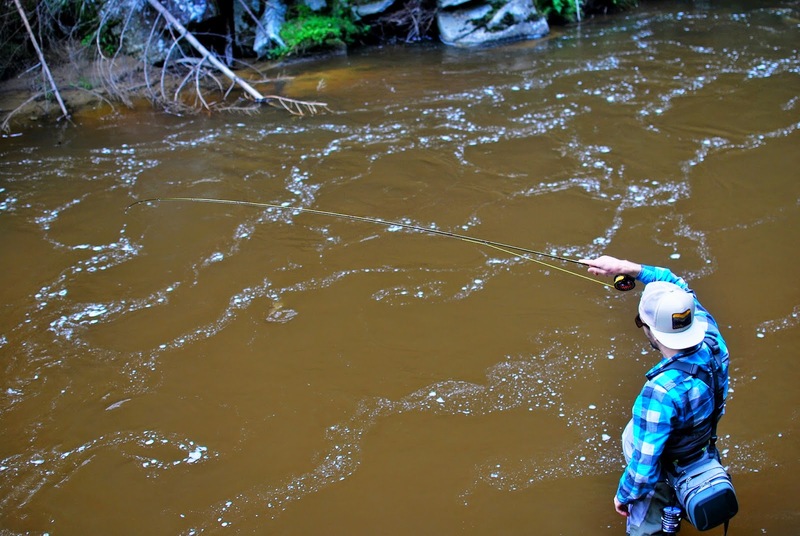 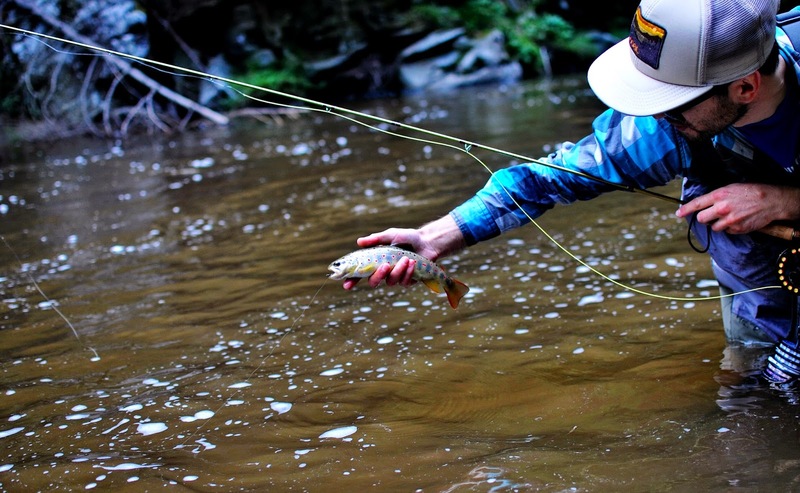 The water was a bit stained and cold from the heavy rains lately but the trouts were on the feed. 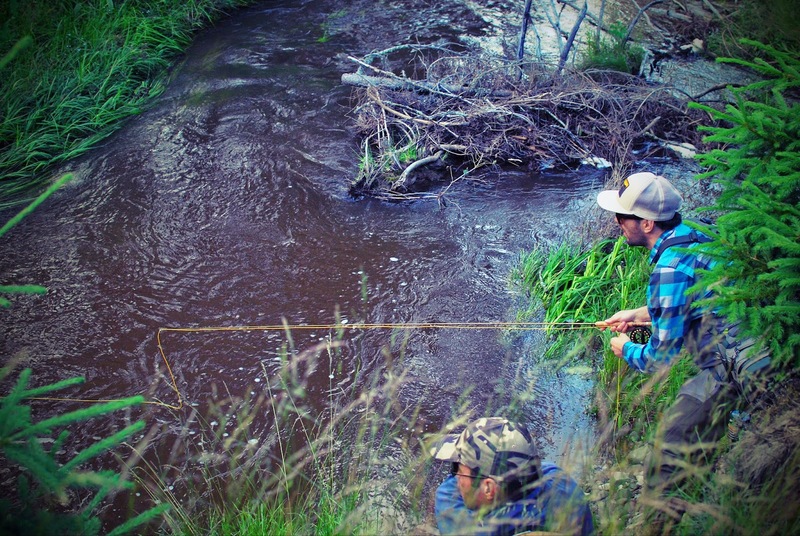 We did our best to capture them on our cameras. 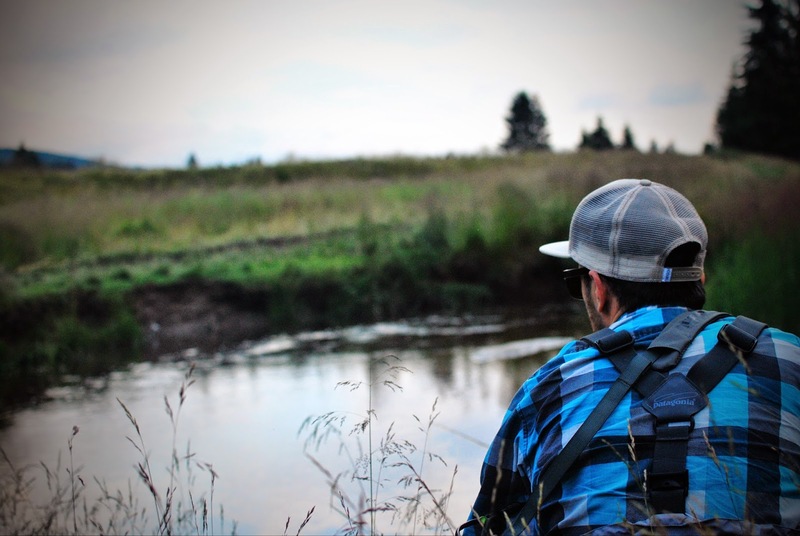 We also tried some filming with my good friend George, a dry fly addict from FFCS, but that's a project we have in mind to get better at in the closest future. 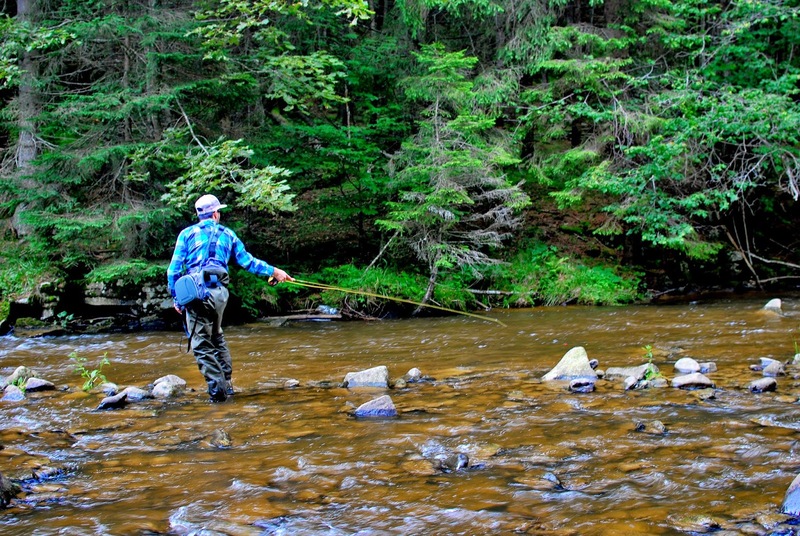 I hope this river will continue to flow for many years to come as for me there isn't a more beautiful place left to fish in this country. 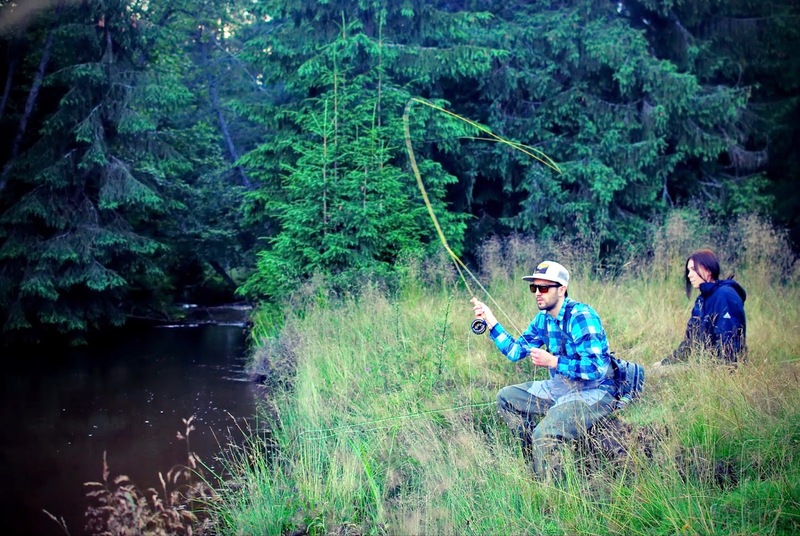 Cheers and good fishing everyone! 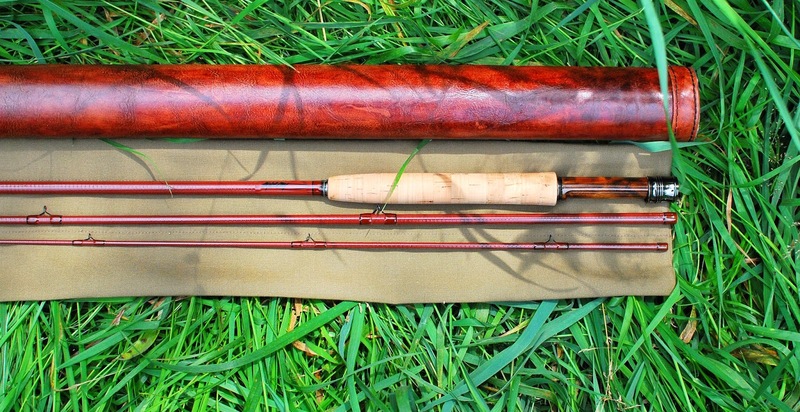 I will be calling this kind of builds "heirloom grade" most probably from now on. 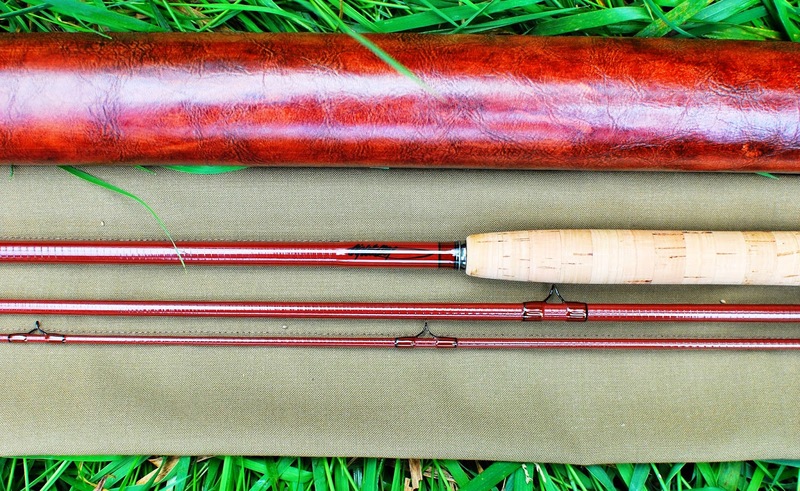 This is that one-of-a-kind long awaited builds (more than six months of wait that will probably be soon forgotten) that was built for a very special guy out in the Rockies in Idaho as a gift from his wife for his 50'th birthday anniversary. 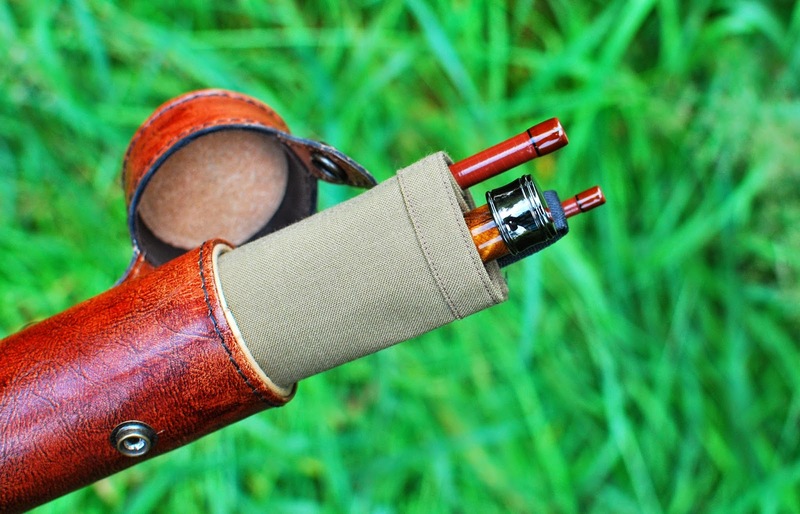 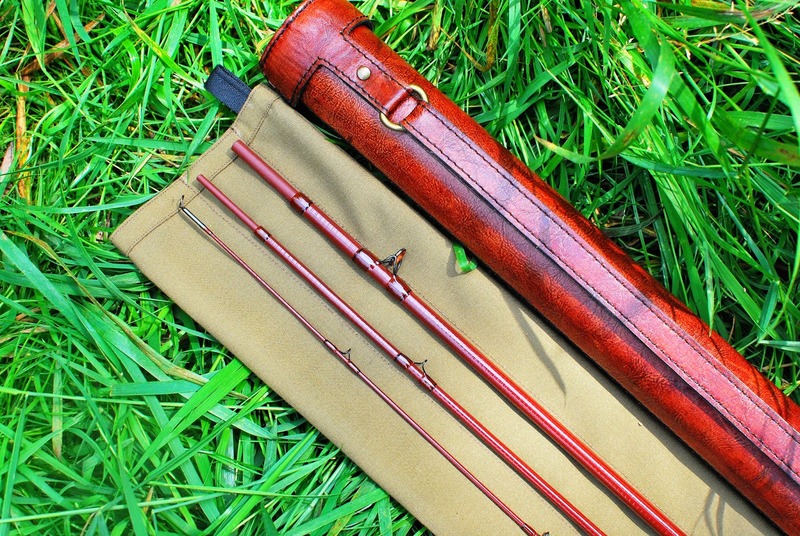 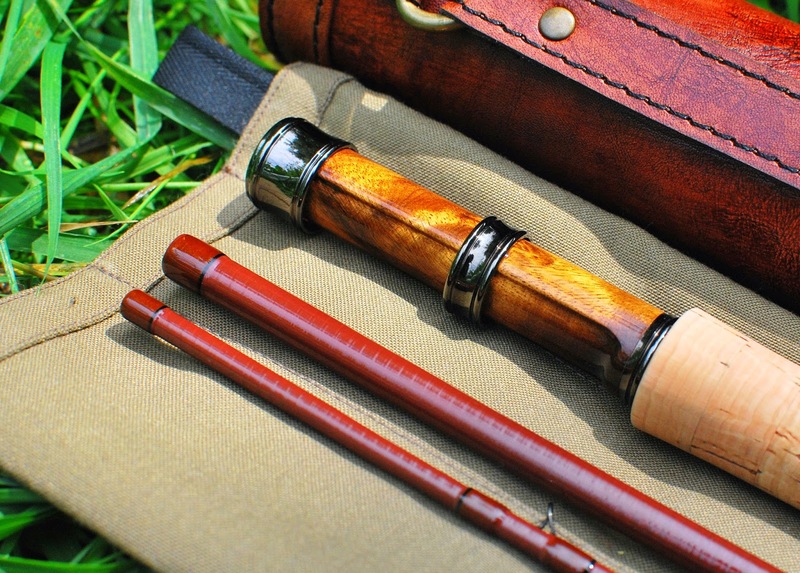 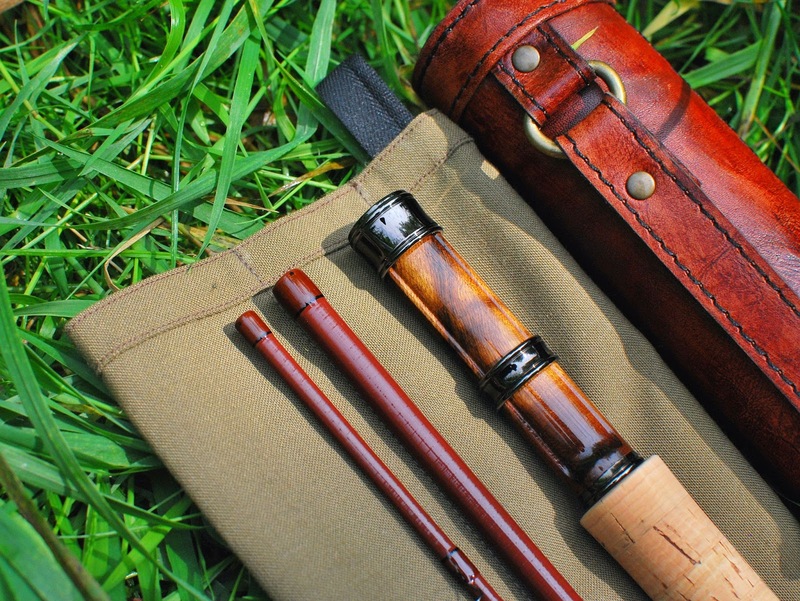 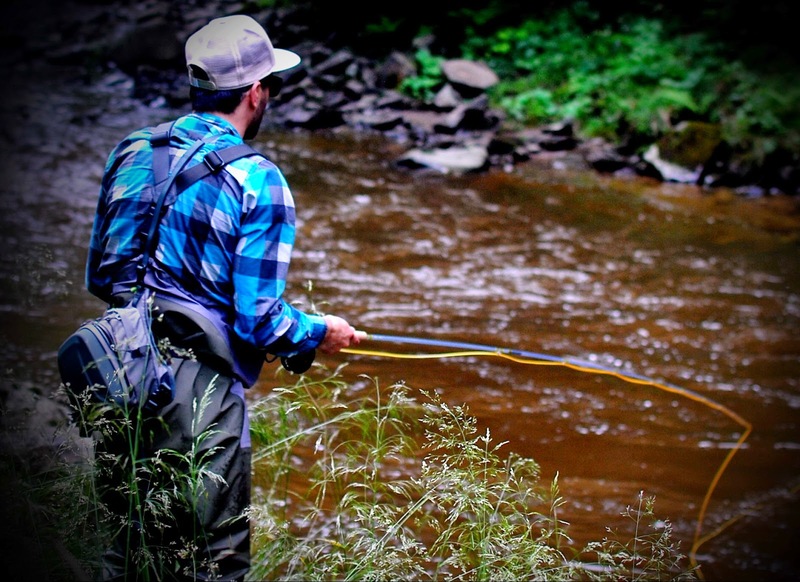 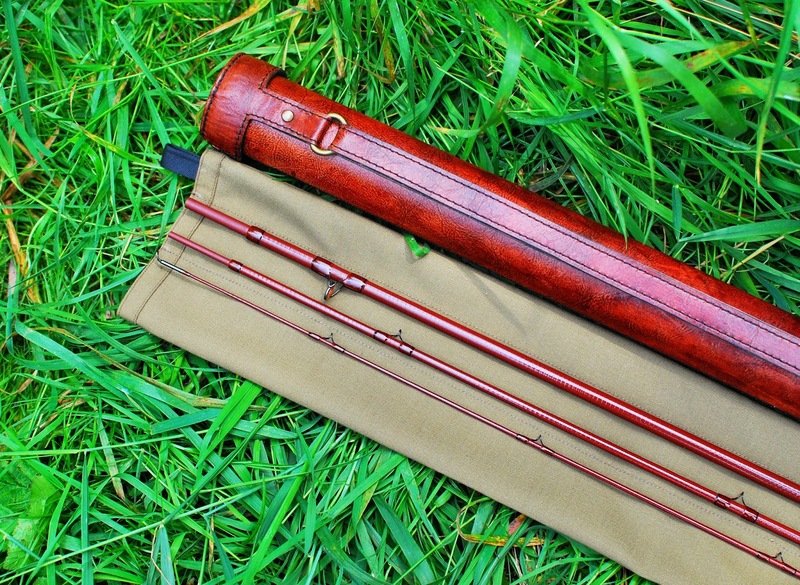 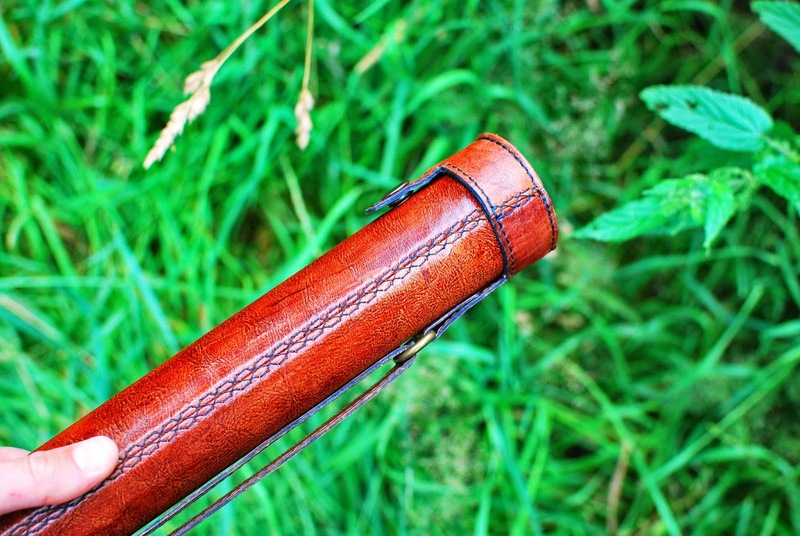 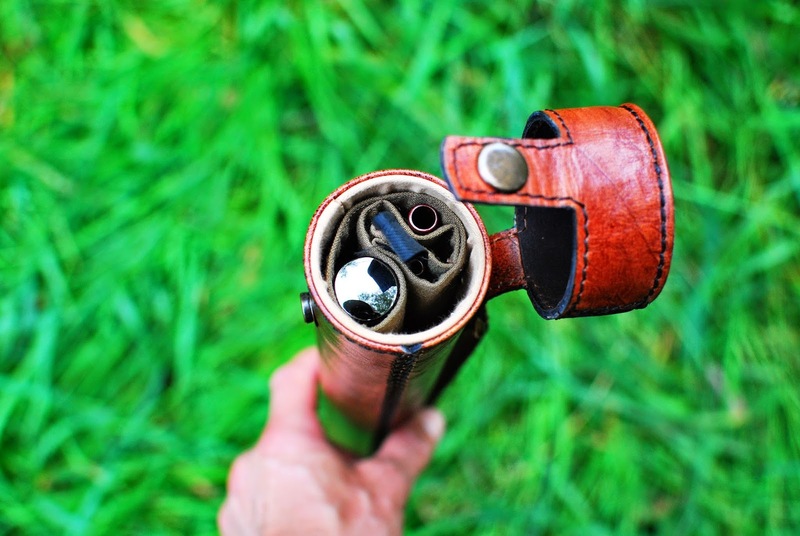 The leather tube that this very amazing rod comes with, has a carrying strap and some classy brass hardware that can be adjusted for those backcountry hikes. 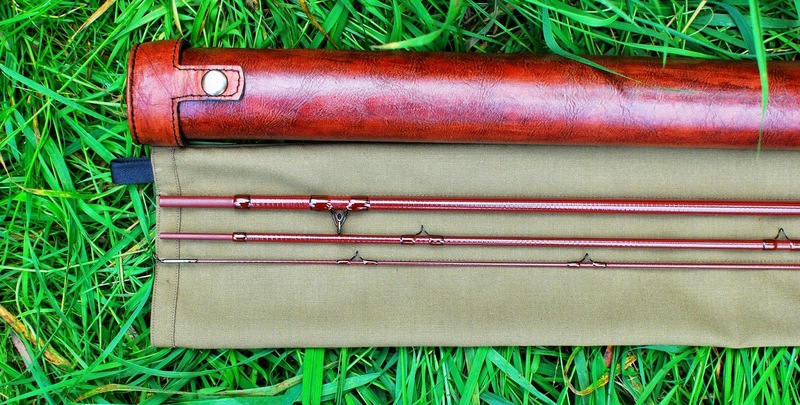 The leather was dyed to match the color of the wraps. 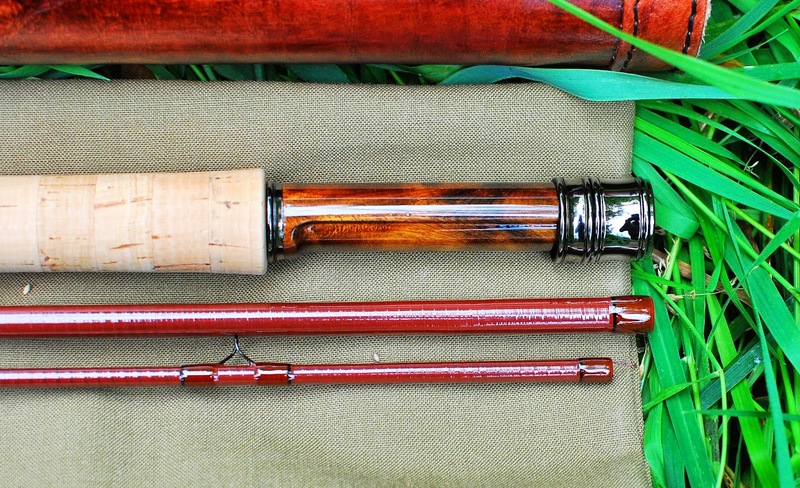 The fittings on this rod are pretty amazing as well. 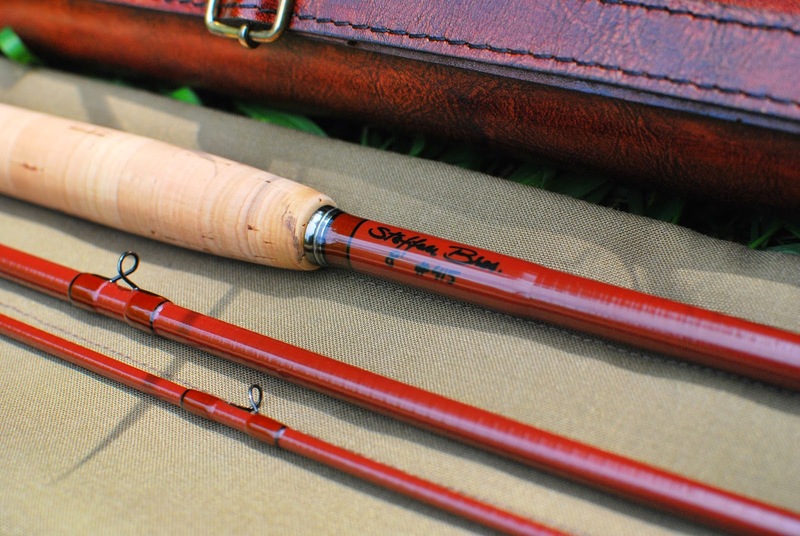 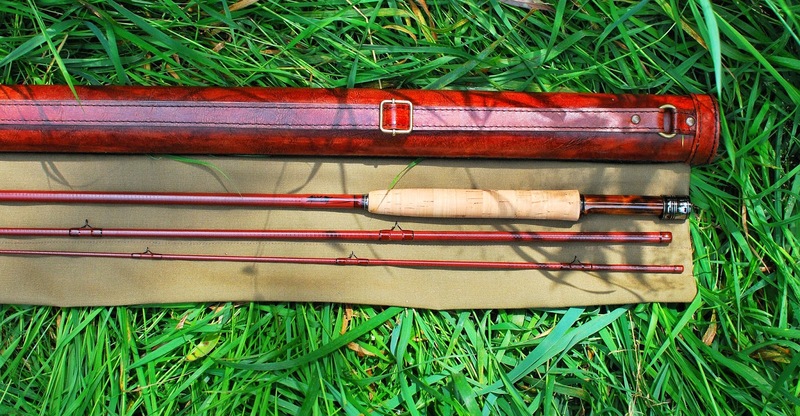 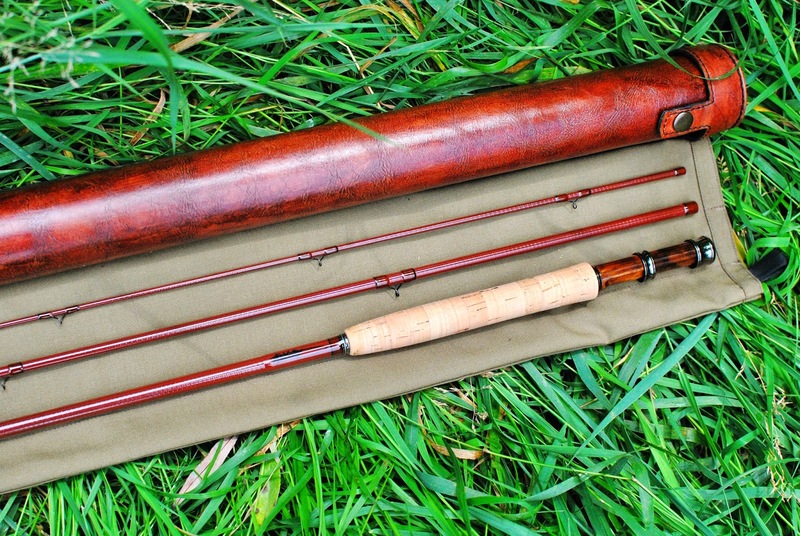 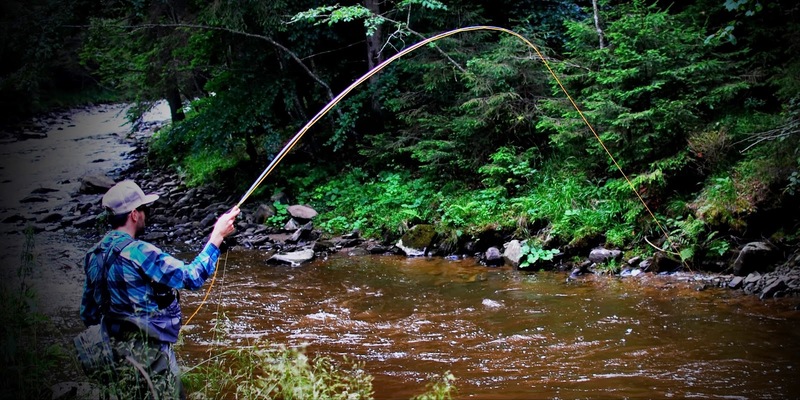 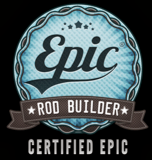 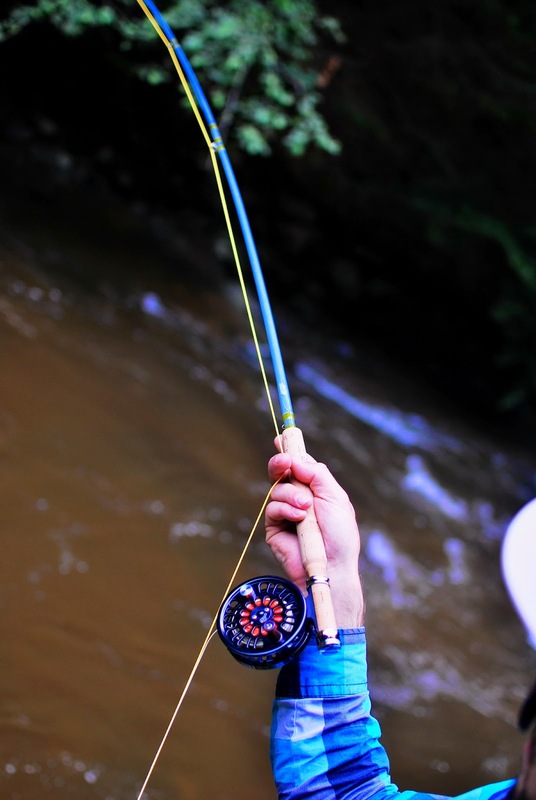 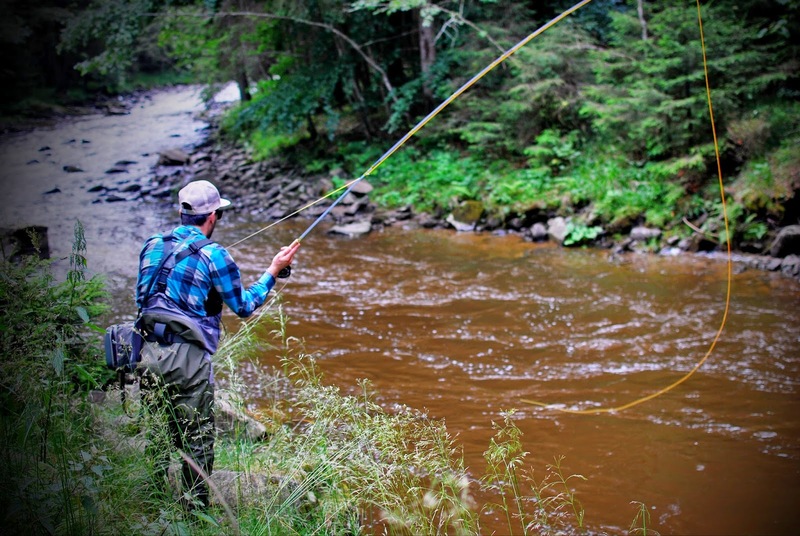 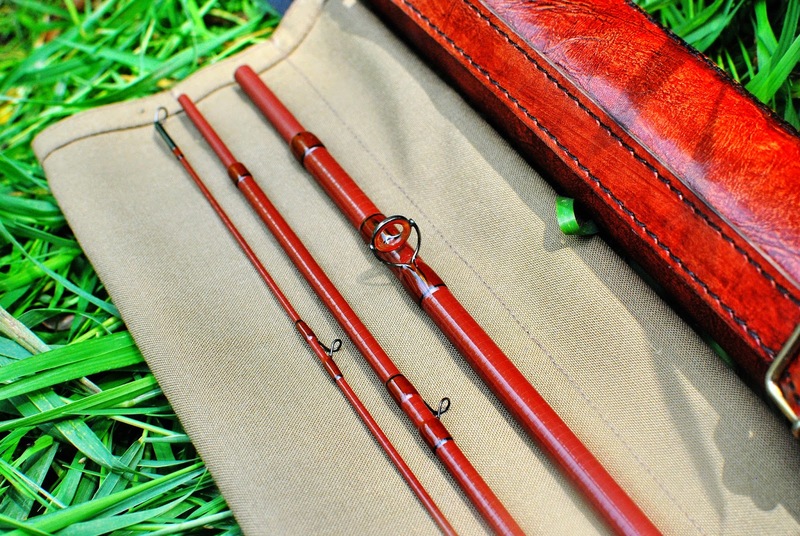 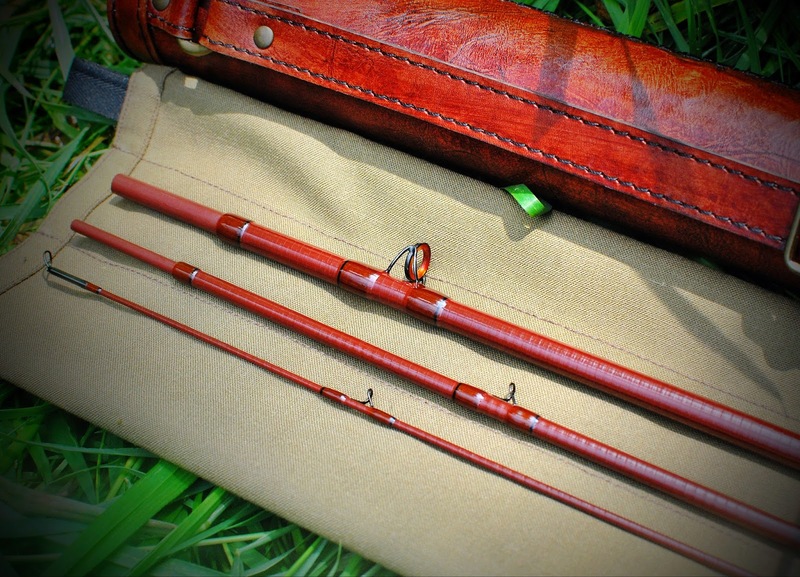 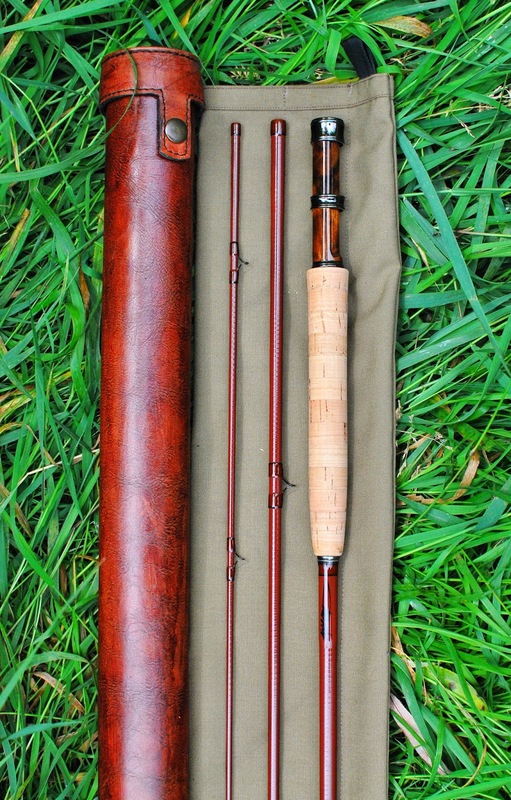 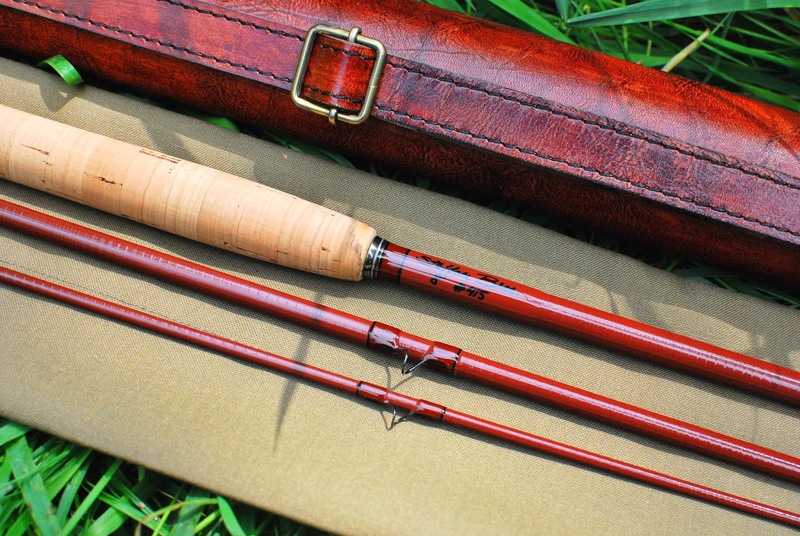 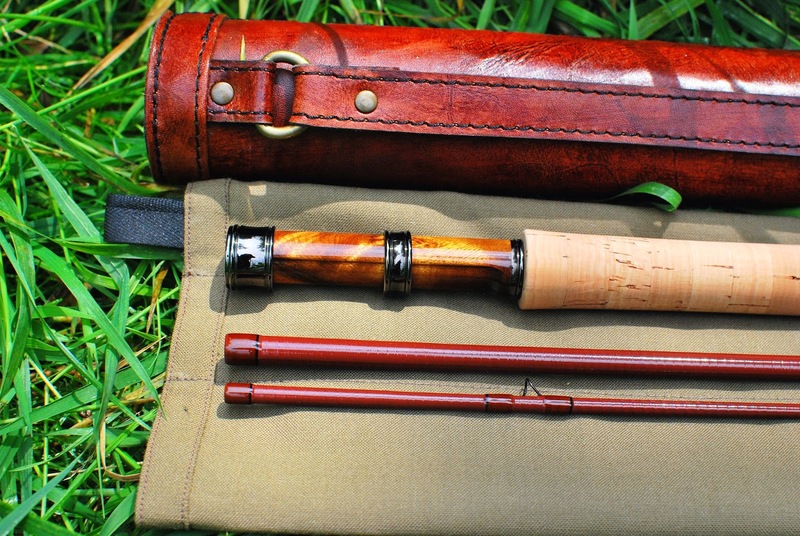 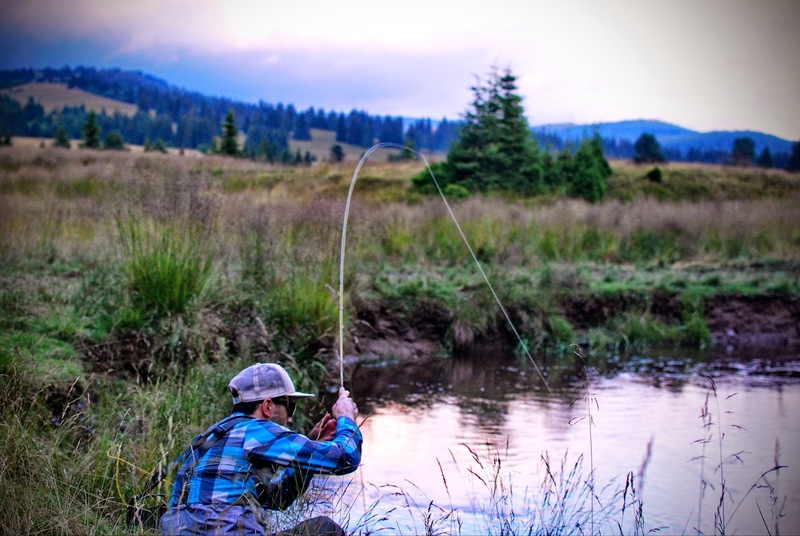 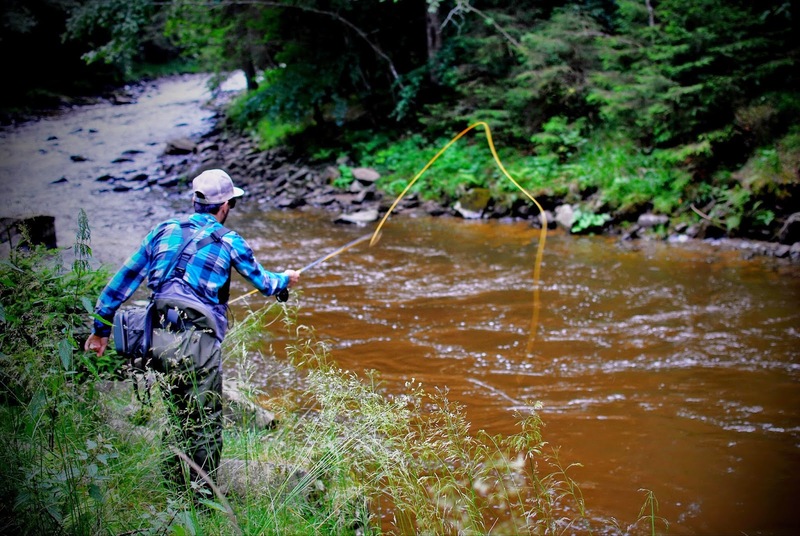 From the exclusive reel seat and up to the top guide everything on this rod is as good as it gets making it nothing short of perfect and another timeless, classic rod. 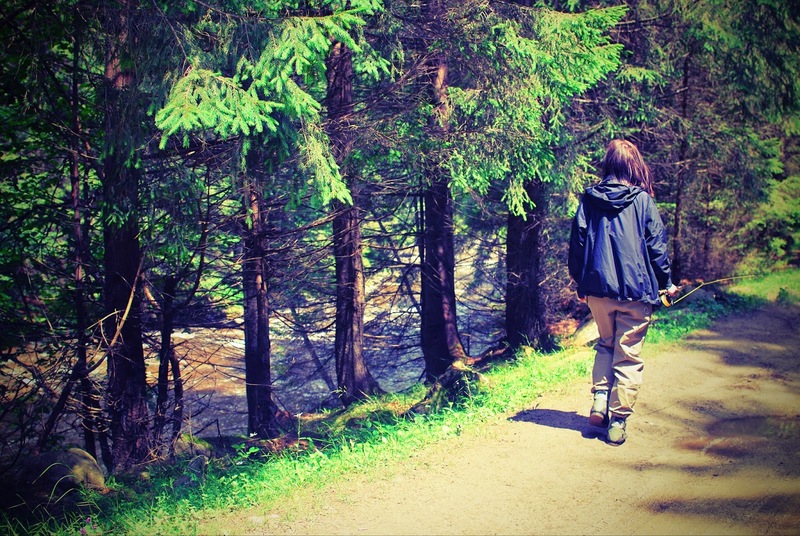 Thank you all for looking.